This Fresno, California, man should be a finalist for the “Honorable Citizen of the Year Award”: Joe Cornell was volunteering at his local Salvation Army when a bag filled with money fell off of a passing Brinks security truck and landed in front of him. The bag reportedly had $125,000 in it. Cornell said he is poor and often only has $1 a day to spend on lunch. Still, he did the right thing and turned the money over to the authorities. “I thought, ‘What type of man do I want my grandkids to think I am?’” he said. 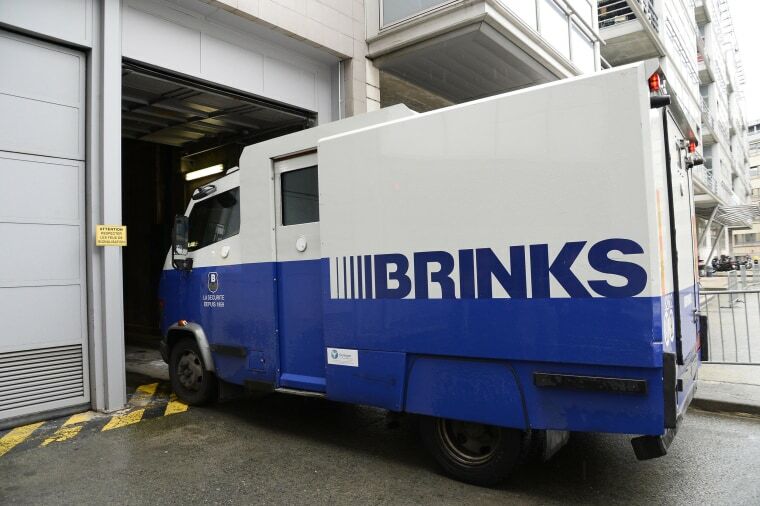 Brinks reportedly gave Cornell $5,000 as a reward and also plans to make a $5,000 donation to the Salvation Army. Here’s something you don’t see everyday. A bizarre video taken in Ethiopia shows a man riding a bicycle with a goat on his back. The goat was attached to the rider by a harness. Judging by the way this goat is holding on, we’re pretty sure it’s done this before. This year there are t-w-o Scripps National Spelling Bee champions. Sriram Hathwar,14, of Painted Post, New York, and Ansun Sunjoe, 13, of Fort Worth, Texas, tied for first after six rounds. Hathwar called it “a dream come true.” The Bee hasn’t had co-champions since 1962. The wife of embattled L.A. Clippers owner Donald Sterling confirms the team has been sold to former Microsoft CEO Steve Ballmer. “I am delighted that we are selling the team to Steve, who will be a terrific owner,” Shelly Sterling said in a statement. “We have worked for 33 years to build the Clippers into a premiere NBA franchise. I am confident Steve will take the team to new levels of success.” Still in question is whether Donald Sterling will fight the sale. Ballmer reportedly bought the team for $2 billion. First lady of Facebook, Dr. Priscilla Chan, is making headlines for a newly-announced $120 million donation to Bay Area schools. She and husband Mark Zuckerberg made the donation through their education foundation, Startup: Education. In her first TV interview, she told TODAY’s Savannah Guthrie how she and Mark first met and why education has become the couple’s passion project. Before you hit the beach this summer, you may want to ask yourself how much UV protection you’re getting from the sunscreen in your medicine cabinet. The FDA hasn’t approved an over-the-counter sunscreen ingredient since the 1990s. And while European makers have about 27 sun-protective ingredients to choose from, the U.S. has only 16. So what’s the holdup? In Europe, sunscreen is regulated as a cosmetic, but in the U.S., they have to go through the FDA’s drug-approval process. A new bill called the Sunscreen Innovation Act is hoping to speed up the process. If passed, it will require the FDA to make rulings on new ingredients within nine months.